Travel with the Bat and take your batarang, grapnel hook, and other must-haves with you in this amazing Batman Built Laptop Backpack. 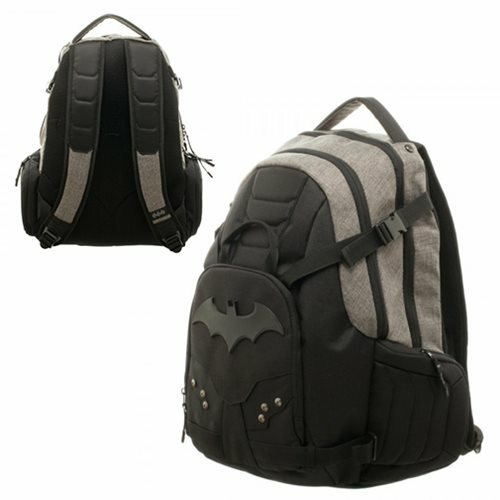 Featuring Batman's logo, it boasts zippered closure, padded straps and handle on the top. Ages 14 and up.